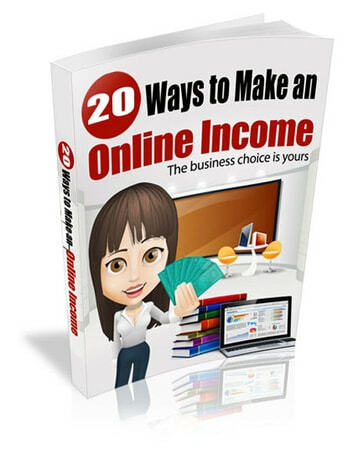 Discover 20 Cool Ways To Make An Online Income! 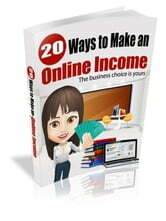 There are many ways to generate income online and a passive income is one of those ways. Being able to generate a passive income takes a special skill. Your audience can be fickle. If they feel you are more concerned about the money than them, you will fail. Your intent needs to be about helping others. Initially you are going to need to put in a lot of time. It's hard work to get a passive income flow going and to build that success. It doesn't come overnight, although many would like you to believe this. Just because you have your product it doesn't mean you can sit back and relax. There really isn't a 100% passive income, because you always have to be managing what you are doing. You need to build automation, but to do that you first have to create trust with your followers or audience. That's where initially you have a lot of time invested, which will decrease, but you will always be involved. As your passive income builds and you become comfortable in your business, make sure that the profit never becomes your main motivation, because when it does you set yourself up for failure.